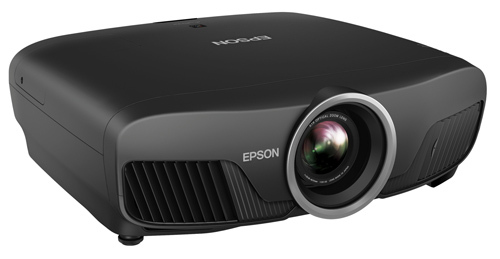 Epson has announced the Epson Pro Cinema 4050 4K PRO-UHD Projector with an improved version of the company's advanced pixel-shifting technology, HDR compatibility, and a reduced price of $2399, down from the $2699 for the Pro Cinema 4040 it replaces. The Pro Cinema 4050 4K PRO-UHD also boasts automated lens memory to allow constant image height display of multiple aspect ratio sources on 2.4:1 screens without an external anamorphic lens--a rare feature on home theater projectors in this price range. The Pro Cinema 4050's 15-element all glass lens is an unusual bonus at this price, and the projector offers a long zoom ratio of 2.1:1 as well as extensive horizontal and vertical lens shift to expand placement options. The powered lens allows remote control of zoom, focus, and lens shift, so image adjustments are easy even when the 4050 is ceiling-mounted. The Pro Cinema 4050 is HDR10 compliant to take advantage of high dynamic range content. It delivers equal color and white brightness,and can display the full DCI-P3 color gamut in Digital Cinema Mode. Contrast is specified as 200,000:1. It is also 3D capable in full HD (1920x1080) mode. Epson claims that the Epson Pro Cinema 4050 4K PRO-UHD Projector delivers an improved, next generation pixel-shifting technology with associated refinements in video processing that together render a more precise 4K approximation than was achieved by the Pro Cinema 4040. It arrives with a ceiling mount and extra lamp as part of its cost and is covered by Epson's 3-year warranty for the projector and 90 days for the lamp. If service is needed during the warranty period, an exchange unit can be provided within two business days under Epson's Extra Care Home Service policy. Why is it taking so long for Epson (or most other projector manufacturers for that matter) to release actual native 2160p projectors? Very interesting. Your initial info says "no color wheel" - I would presume that this is an LCD-based projector so why would a color wheel even be mentioned? I look forward to the usual comprehensive review from Projector Central and hopefully with a comparison to the 5040/6040 (which are both performance-wise the same) with a focus on picture quality and black levels. Thank you. Any idea when you will be able to review this projector? Now when can we expect a review Evan? Barry and Steve, Rob and I will be meeting with Epson tomorrow and will get a feel for review timing. It would be great to check if the 3D support for 1080p is 24 Hz (HDMI 1.4a) or 60 Hz (HDMI 1.4b), if it has a low-latency mode, and if the 3D mode works with low-latency. It would be amazing to *finally* get a 1080p 3D gaming projector. Brett, sorry, no word on that yet. For my first faux k projector would you suggest this or the 6040. Tom, there's a significant difference in price between the two, and that's still reflecting the 6040UB's price drop as of CEDIA to $3,495 from $3,695. The 4050 includes Epson's newest pixel-shifting technology and also an improved tone-mapping profile for HDR. From what we could see at the show, these are significant improvements. The 6040 has the better specified contrast ratio, but contrast with HDR content looked very good in the 4050 demo. This strikes me as a very high value projector. We'll look forward to seeing what it looks like under review conditions. Kevin, let me check on this with Epson. They don't specifically mention the bandwidth of the HDMI inputs in their specs, but the projector does perform 12-bit or 10-bit color processing depending on frame rate and color compression, which seems to suggest the ability to take in a wide bandwidth signal. Yes. The 4050 has a motorized lens with 10 memory positions. So with a 2.35:1 screen, you can create one setting for 16:9 content (full height with side-bars) and another for widescreen content (which will bleed the black top/bottom letterbars off the edge of the screen. This projector a TRUE 4K? 1920x1080x2 UHD resolution is still pixel shifting. Yet this is similar to the Optoma UHD60 so the quality should be very good. Looking forward to PC doing a deep dive. Alan, you are correct that both this Epson and the Optoma are pixel-shifters. However the DLP chip used in the UHD60 and other 4K DLP models starts with a pixel count of 2716 x 1528, which doubles up to the full 8-million plus pixels inherent in 4K UHD signals. The 1920 x 1080 imagers used in pixel-shifters from Epson and JVC's past models double that count to around 4 million pixels total. The DLP models put more pixels on the screen, but the apparent differences vs. late generation 1080p pixel-shifters can be difficult to see. Epson and JVC have both narrowed the gap in successive generations of their technologies, and Epson has done so again with this new Pro-UHD version. Too bad that Epson didn't upgrade to 18gb HDMI which makes is one of the key limitations o the previous generation. Many of the streaming devices and game consoles require this for true 60PFS HDR. This isnt a TRUE 4K projector right? 4K enhancement only? As noted, not 4K native but a 1080p pixel-shifter, which Epson refers to as "4K Enhanced" technology. I agree. I'm in the market and this sounds like a great overall projector but I want something [reasonably] future proof. I'm not a gamer but I do love movies and UHD content. I would happily pay more for this projector to offset the cost of 18Gbps HDMI inputs. The 2017 JVC models have them and this one could seemingly compete at a much better price point. Any report of the lag on this unit? Also any mention of an upcoming firmware update to achieve 1080p/120hz game mode? Kinder, the Epson Pro Cinema 4050 is identical to the Home Cinema 4010, which we just reviewed. We measured 28 ms lag time on it; you can see more details in the review. As for 1080p/120Hz game mode, this projector has HDMI 1.4 ports that will not support 1080p/120Hz with any kind of firmware update. My 4050UB has been hanging in the great room for a week! It’s a stunner! Replaced a 6030UB. Not sorry. At less than half the cost of the Sony 295ES! 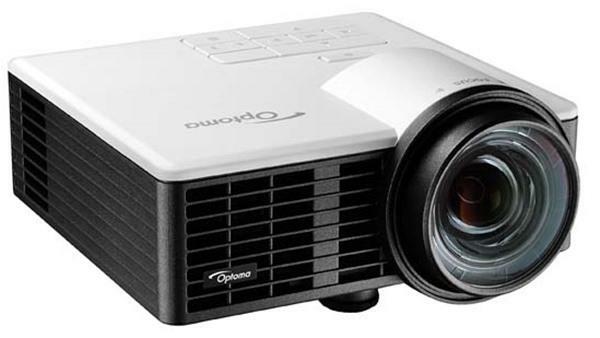 Looking into getting a projector - how does this compare to the 5040UB, which from what I can gather is True 4K? And is it worth waiting for the next Epson upgrade, as some of the new features in the 4050 may be carried over to the new 5040? And do we have any idea when the 5040 gets a newer version? I'm not in a rush to get a projector, so figure I can wait if it's worth the wait and not too long of a wait. This projector is the commercial-market equivalent of the new Home Cinema 4010, which we've reviewed and report on extensively elsewhere. The HC 5040UB is the last-generation step-up model, which we directly compared with the HC 4010 in a comparison review. Despite the generational difference, it is largely the same projector except for notably deeper black levels that become obvious in dark-room viewing on overall dark scenes. The new-generation update to the 5040UB is expected fairly soon; it's European version is already on the market. Along with better contrast/blacks than the 4010/4050, and possibly a bit of extra brightness over the current 5040, it is expected to offer the modest improvements in pixel shifting and HDR tone-mapping developed for the 4010/4050 and some other improvements over the 5040. This includes at least one full 18 gbps HDMI 2.0 input, which is a feature of interest to gamers. None of these projectors is full 4K resolution; they are all 1080p models that use pixel-shifting to approximate a 4K image. Thanks so much Rob! Another quick question - how does this compare to the Epson 4000, which is currently on sale at Amazon for $1240? Is this newer model worth the extra cash and will I notice this difference (dedicated theater room with minimal lighting), or are my better off putting the money saved towards getting a different upgrade such as installing some Dolby Atmos speakers or a new/larger screen? I have not been able to directly compare the 4000 with the 4010, but I would expect any visible differences to be pretty minimal considering that contrast/black level with the 5040 was pretty much the only differentiating factor there. You most certainly will get a touch more brightness,and possibly some finer tuning on some of the picture modes. If money is tight, adding Dolby Atmos or a going for a larger screen would certainly have more impact day to day. "Automated Lens Memory" does this mean the projector will automatically adjust the lens when 2.35 movies is play? Or do you still have to manually recall the lens memory setting ' Lens1 or Lens2 on the remote? Why should introducing the ability to sense format changes be excluded from the Epsons when it existed for so long with the venerable Panasonic PT-AE8000u ? I have enjoyed my Epson pro 6040 projector purchased new replacing my Epson 3020. I simply wanted to view 4k movies + blue rays. I absolutely recommend the 6040. Picture is worth waiting for, coupled with full Denon & Definitve Tech sound system. With the new Epsons released, what model takes the place of my pro 6040? Is it still to be released in 2019. Bill, just to clarify for other readers who might not know, the 6040UB is the commercial version of the 5040UB is exactly the same except for a black casing vs white in the 5040UB and the fact that it comes with a ceiling mount and extra lamp. The replacement for this model remains pending but is definitely due to come out sometime this year. Epson has not announced what the new model number will be.